A file in Microsoft Excel is called a workbook, and that workbook can include a number of different spreadsheets called worksheets. Organizing large amounts of data into multiple worksheets affords you a number options for analyzing your data, and you may have found that you are often adding more worksheets every time you start a new workbook. 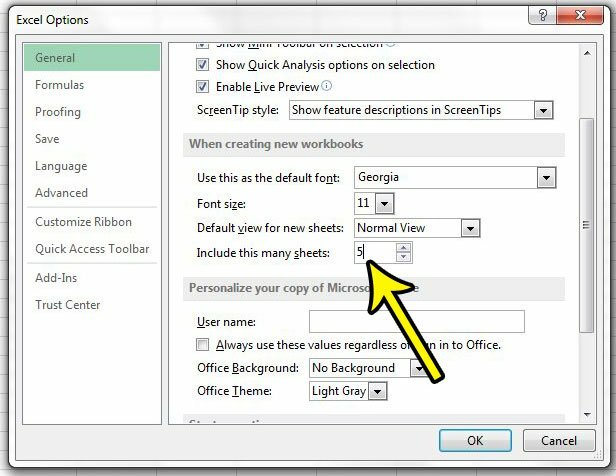 But the number of default worksheets in Excel 2013 is something that you can adjust, so you are able to have more or less sheets in any new workbook that you create. 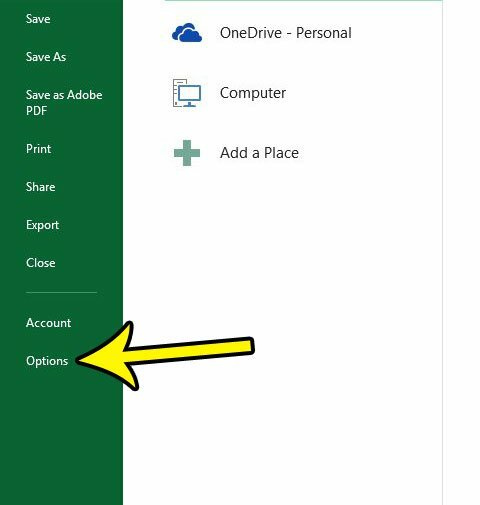 Our guide below will show you where to find and change this setting to suit your preferences. The steps in this article are going to change the number of worksheets that new workbooks will have by default. This will not affect any existing workbooks, nor any workbooks that you receive from other people. This only affects new workbooks created from this point forward. Step 4: Scroll to the When creating new workbooks section, then change the value in the Include this many sheets field to the number of worksheet tabs that you want in new workbooks. Click the OK button at the bottom of the window to save your changes. Are you having trouble getting your spreadsheets to print the way that you want? 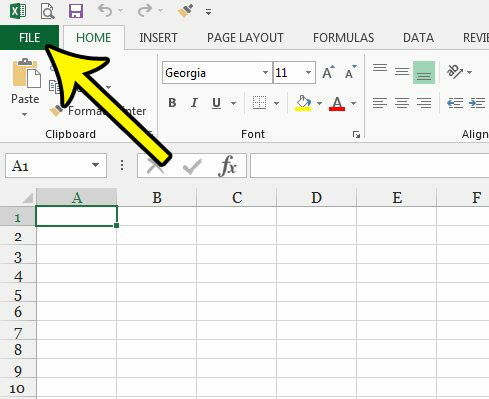 Learn about a handful of printing options in Excel that can save you a lot of time and frustration.